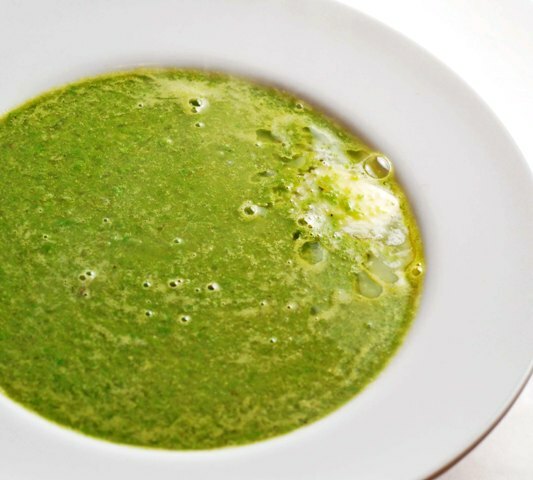 Pea soup does not have to be limited to dried split peas. This easy vegetarian recipe uses fresh spring peas or you can substitute frozen if you are in a hurry or you don’t want to shell fresh ones. We love fresh spring peas and were in the mood for a vegetarian version of the split soup. We threw together this soup the other evening and surprisingly, it was very flavorful. This recipe is a great one to have on hand when you need a quick and easy dinner. Don’t forget about our give away, you will really FLIP OUT over this! Heat olive oil in a large saucepan, add onion, carrots, celery, and garlic, saute about 10 minutes until soft. Add stock and cover the saucepan and simmer until tender, about 15 minutes. Add peas and simmer until tender about 5 minutes. Puree soup in batches in a blender or food processor until smooth. Add back to the saucepan and gently heat about 3 minutes. Season with salt and pepper and drizzle lightly with olive oil or float a pat of butter on the top once you ladle into a bowl. One Response to "Fresh Spring Pea Soup"
What a gorgeous soup--it's a lovely color! And I'm sure it's flavor is delicate and light, too.